Pinterest makes you feel like you can craft anything, doesn’t it? 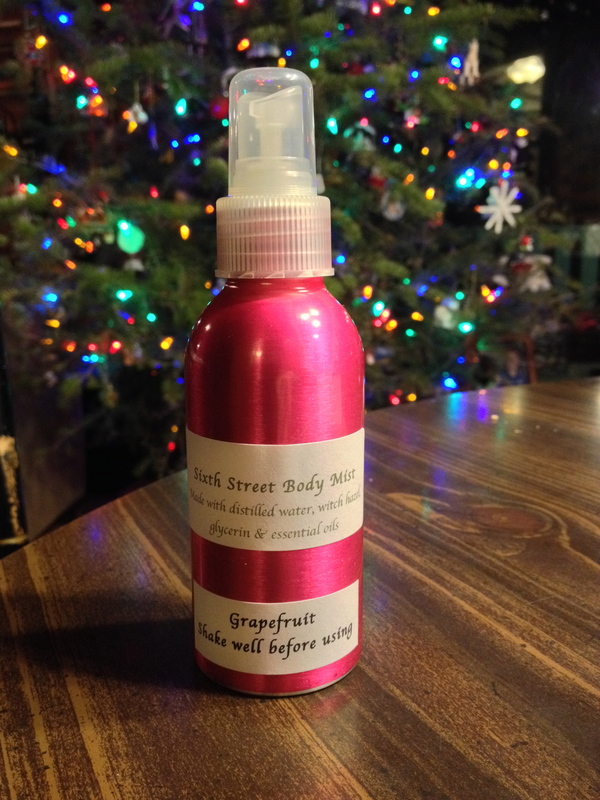 Its “DIY” category was the basis for most of my Christmas presents and decorations this year. 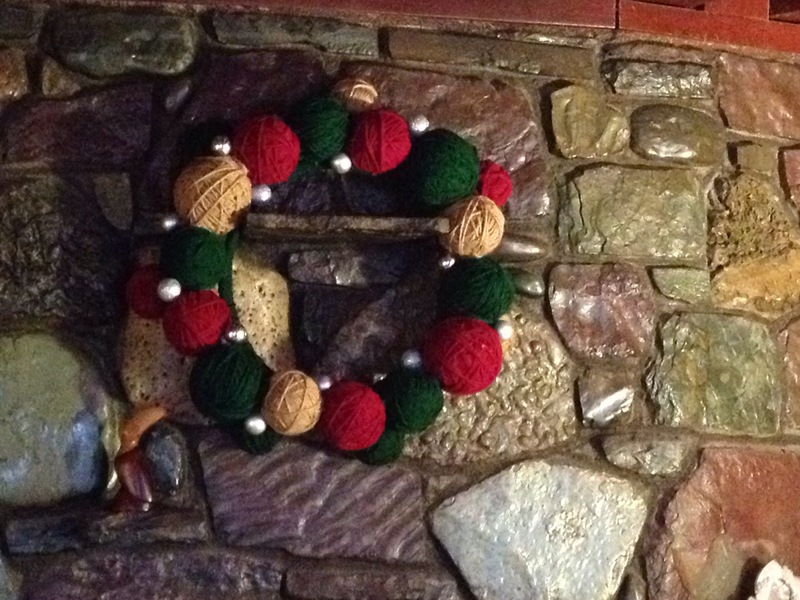 My first project was a yarn ball wreath. My husband fashioned a ring for me from coaxial cable, which I wrapped with yarn. I used foam balls from JoAnn’s as the center for each “yarn” ball and Red Heart Super Saver yarn, which is pretty inexpensive. It took me a while to determine the best way to secure the balls to the ring. After experimenting, I used floral U shaped pins, and then my handy glue gun. 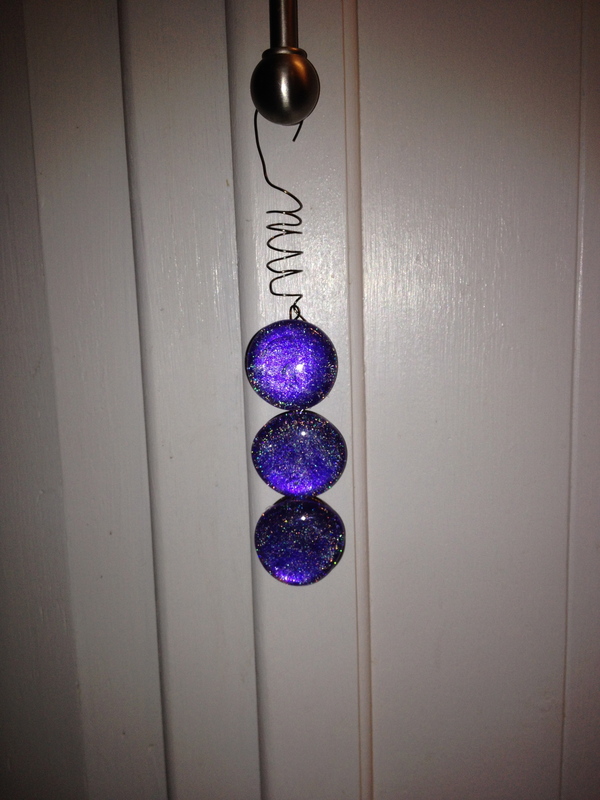 I added some inexpensive silver gaudy balls (as my husband calls them). 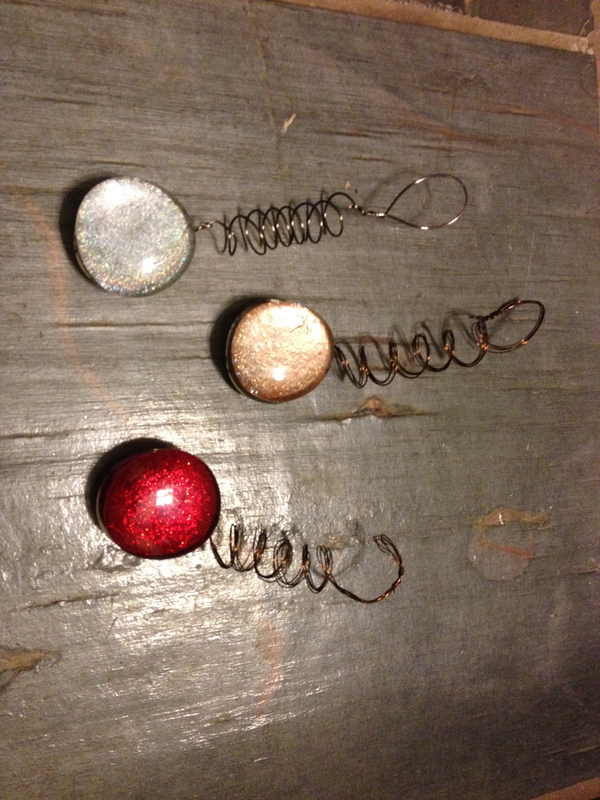 Next year I may add more of the smaller balls to the outside ring. 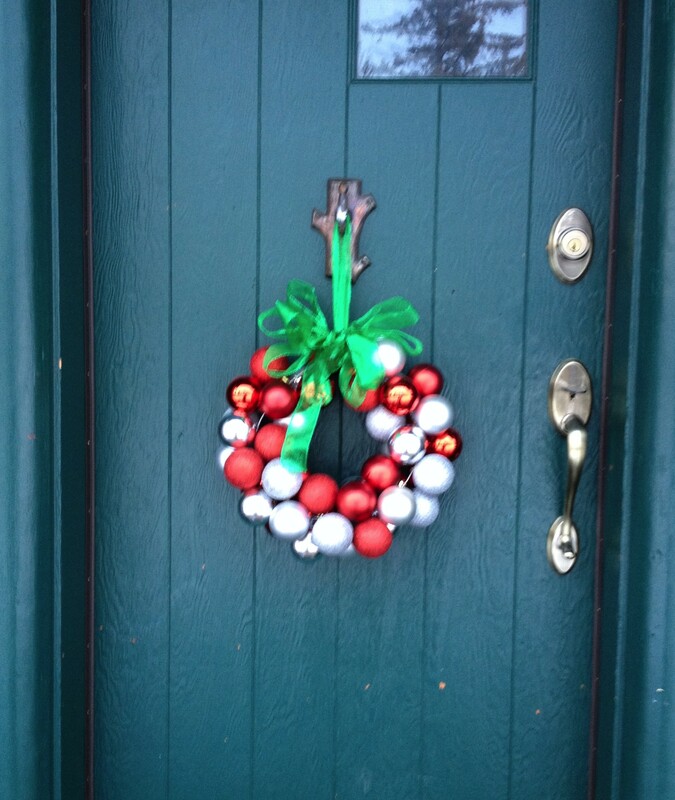 For my front door, I made a quick, inexpensive wreath with gaudy balls, a wire hanger and ribbon. The picture is a bit blurry, but you get the idea. 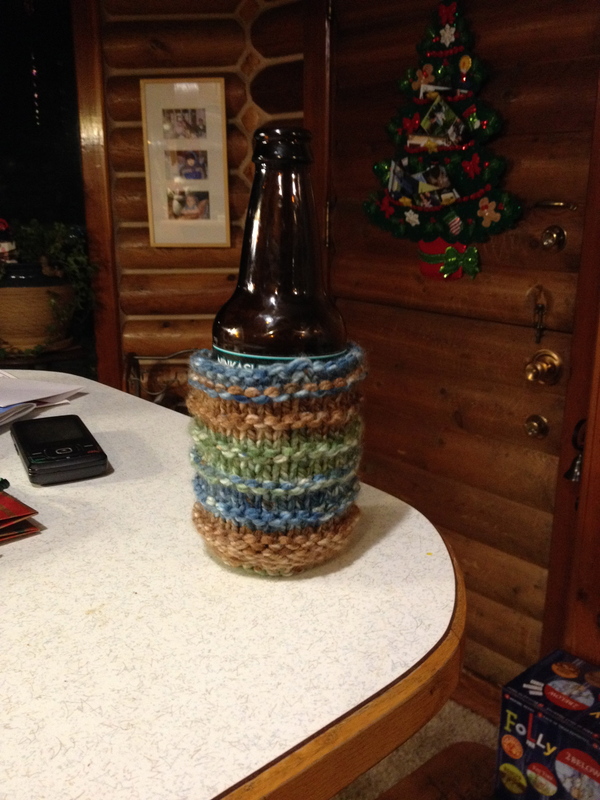 Of course I knitted a few things to gift, including ear warmers, boot cuffs and a beer cozy (didn’t want my brother-in-law to feel left out). 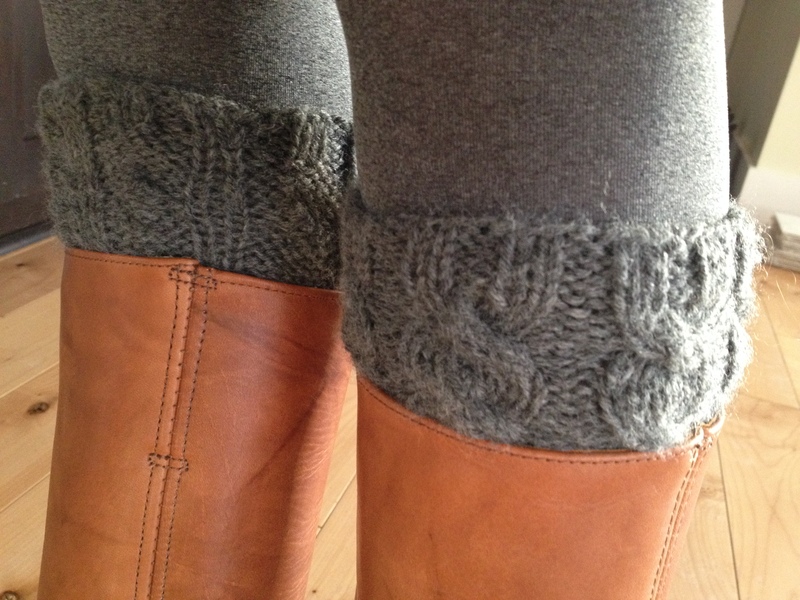 I also made some fingerless gloves, but I didn’t get a picture of them. But what I was most excited about making was the lip balm. For the majority of my life, if I discovered I didn’t have a ChapStik in my pocket, I swear I could feel my lips immediately drying and cracking. Now I can’t imagine ever purchasing it again. I bought the tubes through Amazon, but the first batch I received was awful–not a single cap stayed on. So as not to waste them, I put a small dot of hot glue on the tube to make them fit. Subsequent orders from different vendors produced appropriately sized lids. 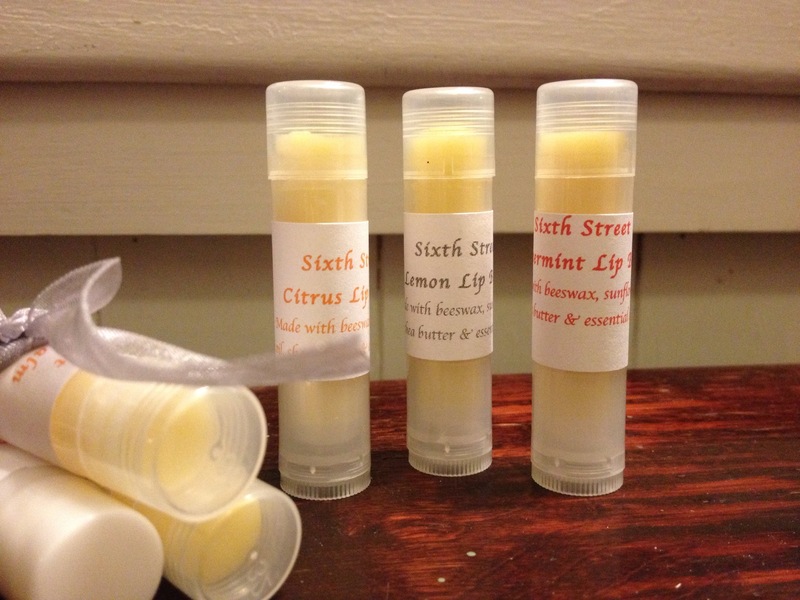 There are many recipes for lip balm on the Internet, and I settled on one that combined beeswax, shea butter, sunflower oil and essential oils. I made peppermint, citrus (orange and grapfruit) and lemon batches. 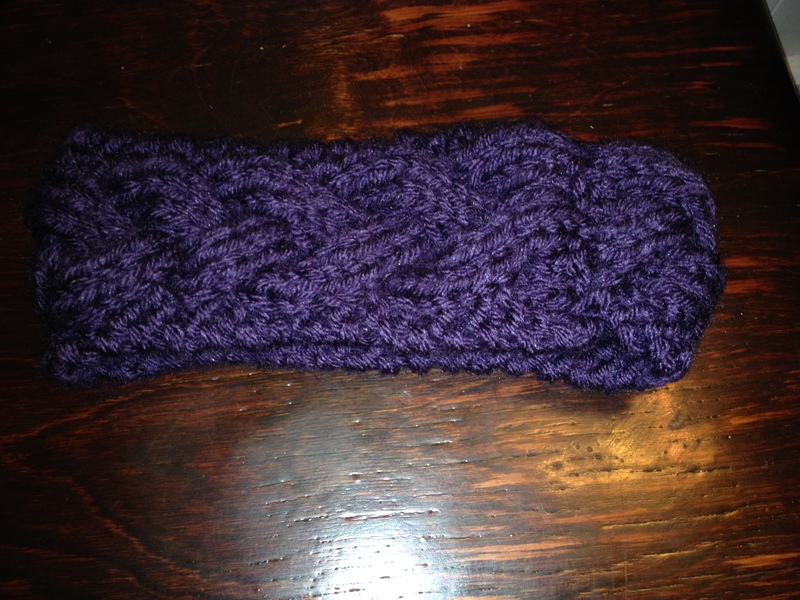 Currently on the agenda: I am knitting a wall hanging thingy–the idea came from Pinterest, of course. 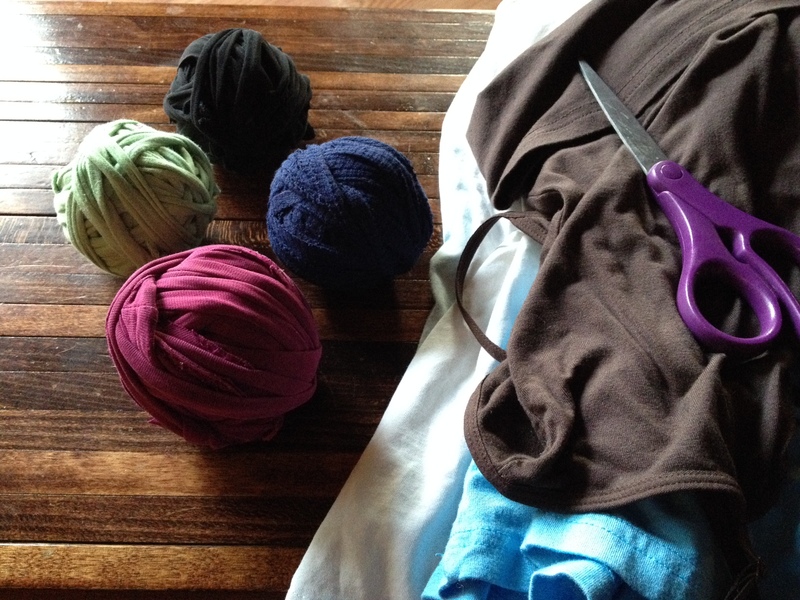 I am also making t-shirt yarn out of tank tops that I dont wear anymore–I eventually want to crochet it into a rug or a basket. Are you making anything right now?